March is over, it was a looongg month for me. But at least I get to share my favorites! 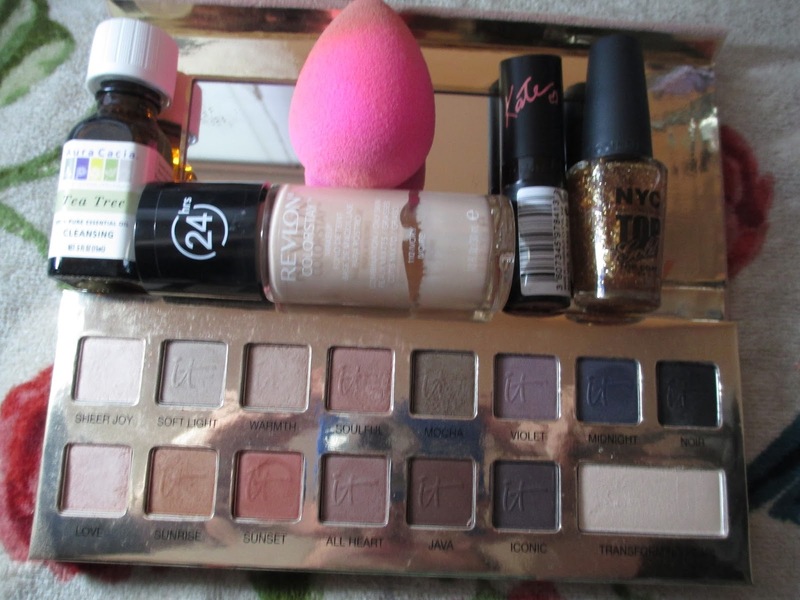 I added a "brush" catagory so now it is my top 6 products. Here is an overview everything I've been loving! 1.) Skincare: Tea tree oil. Its the DIY alternative to The Body Shop. I add a few drops to my moisturizer, toner, and use it alone for a spot treatment. 2.) Face: My beloved Holy Grail Foundation- Revlon Colorstay. It is the closest match to my fair skin (Still ever so slightly too dark). Amazing coverage and long lasting. 3.) 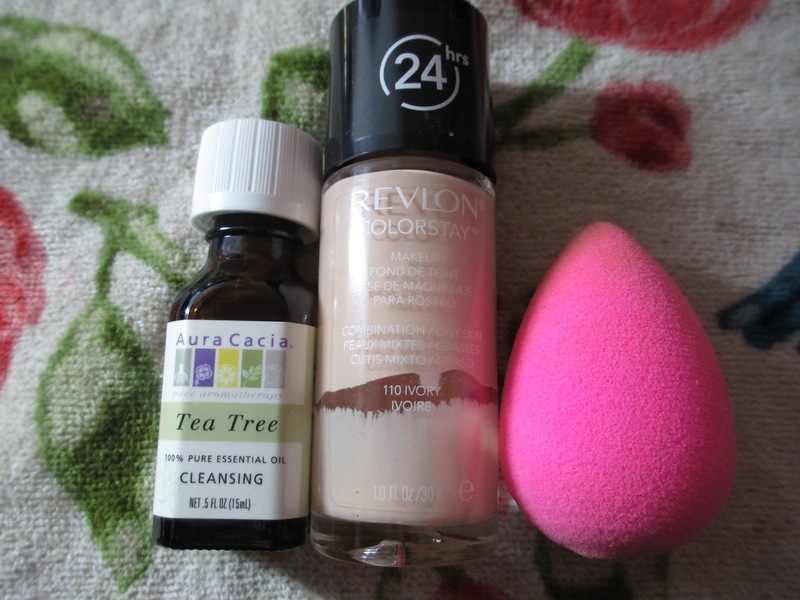 Brush: The much praised Beauty Blender! It blends everything flawlessly even concealer. 4.) 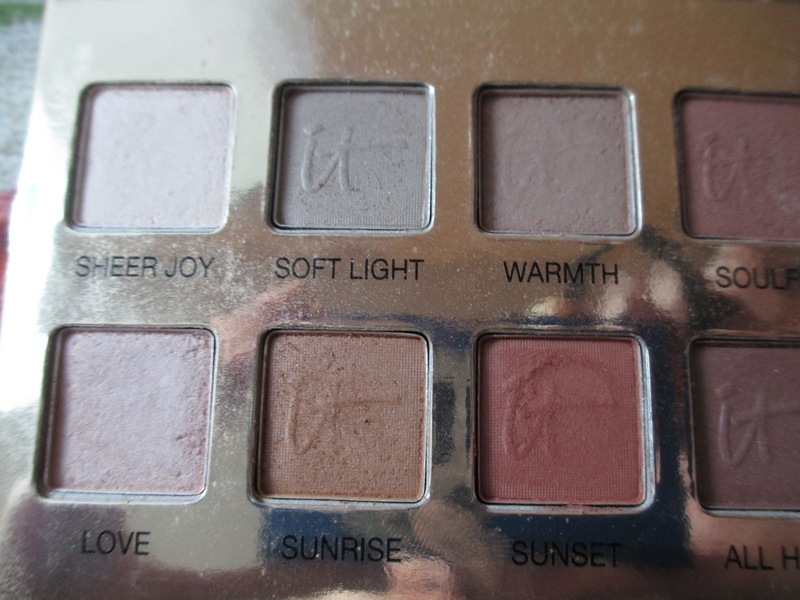 Eyes: My It Cosmetics Naturally Pretty Palette. The shade "Warmth" is perfect for blending and my crease. The shade "Love" is a great shade for brightening and making me look more awake. The shade "Sheer Joy" is great for under the brow. 5.) 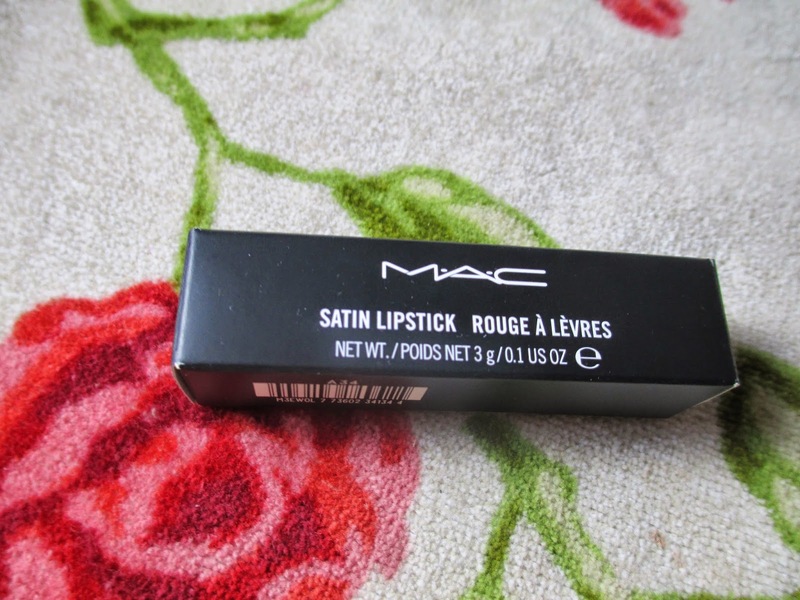 Lips: Rimmel 17 lipstick. Long wearing, natural color. I have made a huge dent in the color, I reach for it so often! 6.) 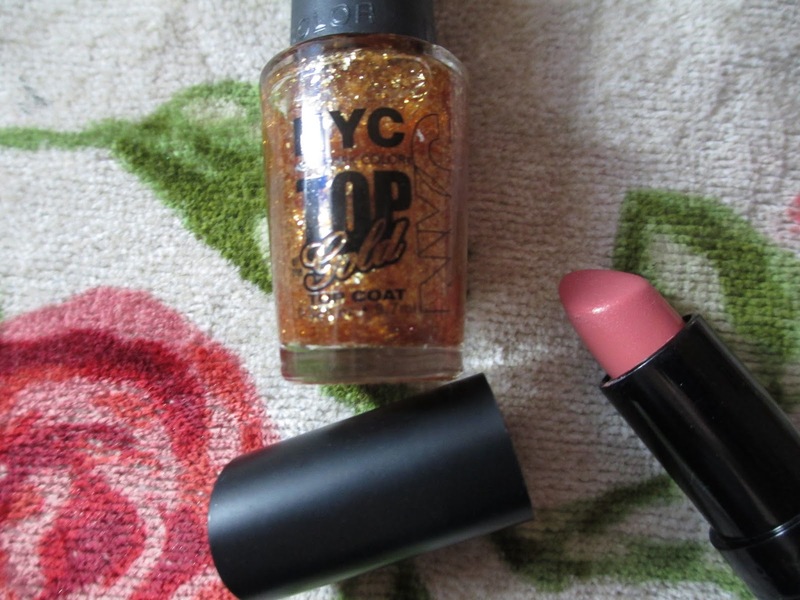 Nails: The NYC Top Gold Topcoat! It lasted soo well, no chipping on my accent nail coated in this. It doesn't look like little flakes but not glitter particles either. Very unique and pretty. For a picture check my Instagram @ budgetmakeupbeauty. 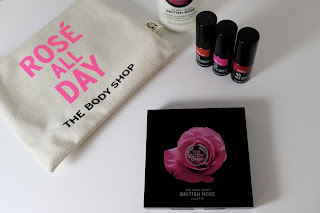 Hey everyone, today I have a set of reviews from the new British Rose collection and lip & cheek stains that were sent to me for consideration. Despite being sent these products, all opinions are as honest as always. The products here range from $16-30. They are available online, as well as in-store.